Shuttle announced the Intel-based SH61R4 and AMD-based SA76R4, two new aluminium SFF systems with Mini-ITX motherboards. 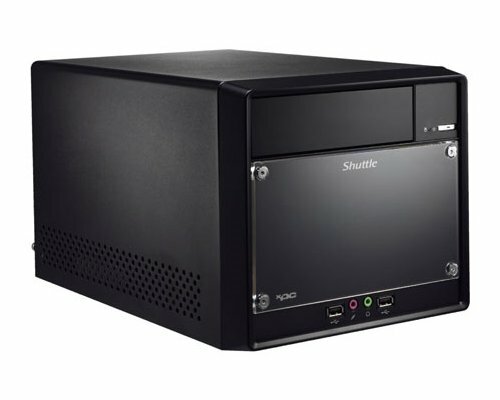 Shuttle, a world-leading PC manufacturer focused on high-performance small form factor desktops, kicks off Computex Taipei 2011, held from May 31 to June 4, with a showcase of i ts latest small form factor PC product line-up (Shuttle Booth No. : L1018). At Computex, Shuttle will be introducing its new product line-up, including highly-anticipated "Sandy Bridge" small form factor PCs. Shuttle will also be introducing its latest 1.5 liter and 3 liter slim PCs, as well as all-in-one PCs. Shuttle's new R4 Series -- SH61R4 and SA76R4 -- for the first time, which features an aluminum chassis and supports mini-ITX motherboards, allowing consumers the flexibility of future upgradeability. A key highlight of the R4 is the USB 3.0, which performs at speeds of up to 5Gbps and is 10x faster than the high-speed USB of the previous generation. Shuttle's new R4 Series continues to be small, stylish, stable, and quiet with the world renowned Shuttle I.C.E. heat-pipe, and has a front panel that is simple to customize with a logo or design -- by using just a printer. Shuttle's new SH61R4, designed for everyday computing and beyond, is based on Intel's H61 Express Chipset and features 2nd generation Intel Core i7, i5, or i3 CPUs for Socket LGA 1155 (95W). Shuttle's SA76R4 is a new take on the proven everyday platform, with AMD's Athlon AM3 and AM3+ CPUs (95W), and a new R4 Series look.